Mischief Adventures at USITT 2019! We had an excellent time at USITT in Louisville. I signed all of the copies of Volume 2 and drew tons of doodles (propcat was especially popular this year). And you nerds brought it tons of weird crap for me to sign. The list of unusual items I’ve signed now includes: a water bottle, a rescue inhaler, a rubber duckie, TWO resumes (please someone hire both of them), a kid’s fan art of Wuggles, a light plot, a Nerds plushie, and a knee brace. And, as is now tradition, our own little gremlin La Ropasucia got up to no good on the Stage Expo floor. If you want to see the mischief in real time, and for some videos (and pictures of my cats), you should follow Q2Q on instagram, too. Saturday I even co-presented a session on Body Mic techniques with Chris of DPA Microphones. So I got to flex some of my audio muscles and share drop some knowledge on likeminded folks. It was a lot of fun and not something that I get to do very often. We’re glad to be home, but things are in flux here as Liz and I prepare to move away from Ohio, and on to Boston (and then I immediately turn around and head for St Louis) so things are very hectic around here. But I’m glad we got to see so many of our friends at the conference and that we got to meet so many of you at the signing! We’ll see you next year in Houston! OH OH OH OH! AND VOLUME 2 AND THE VOLUME 1 REPRINT ARE UP IN THE SHOP RIGHT NOW! GET YOUR BOOKS! 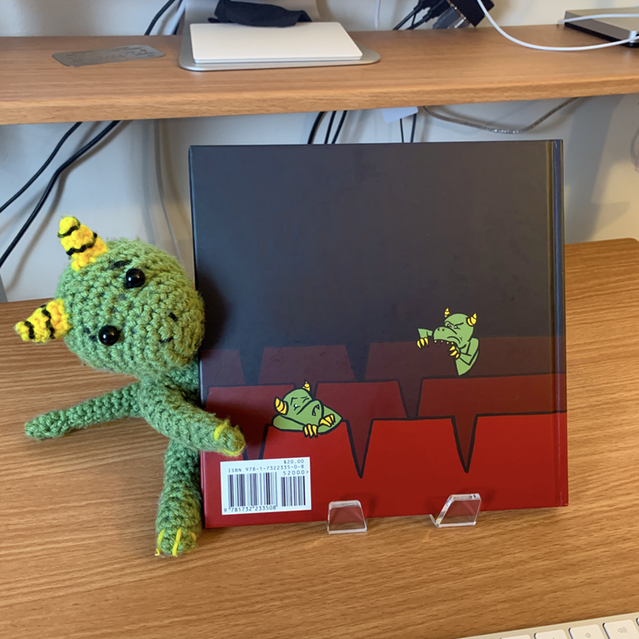 The books are here! And now the second great Kickstarter fulfillment adventure begins! If you backed the Kickstarter, I’ll start shipping rewards next week! 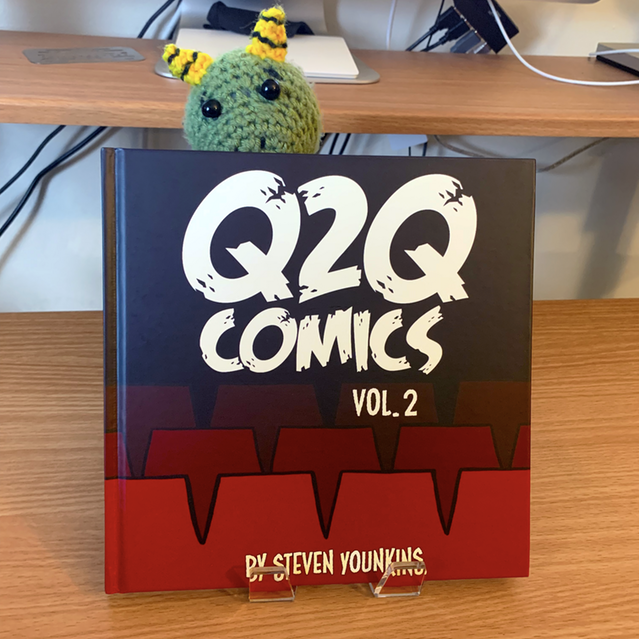 If you missed the Kickstarter, but you still want to get your hands on this fine piece of literature: Volume 2 is still available for pre-order in the Q2Q Shop! Q2Q Volume 2 Available for Pre-Order! 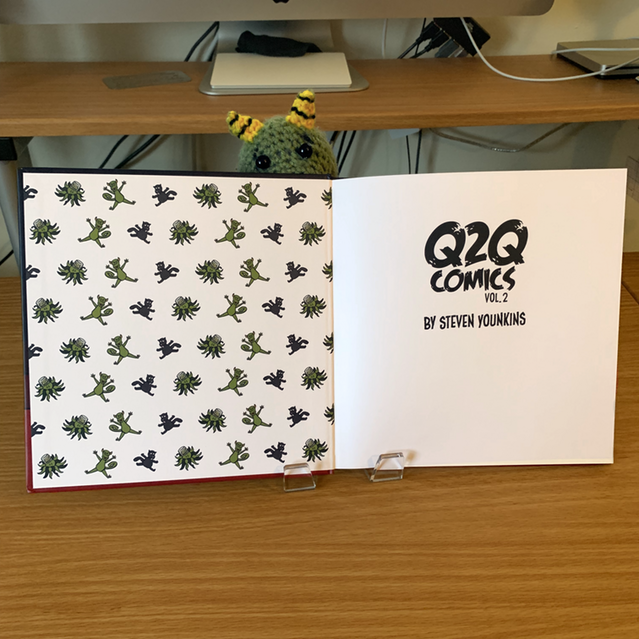 Q2Q Comics Volume 2 is finally available for pre-order in the Q2Q Shop! Volume 2 includes comics #221 through #440, commentary by that Steve guy, all of the holiday bonus comics from the first 4 years of the comic, a “How to Draw Wuggles” tutorial, and other assorted goodies. Pre-orders be the first group to ship after the Kickstarter rewards are fulfilled. Pre-orders are expected to begin shipping in Feb 2019.